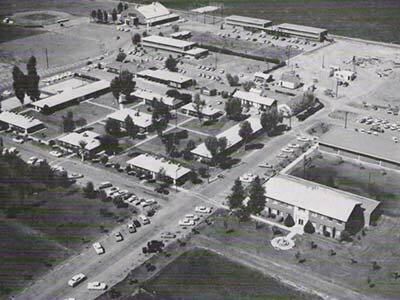 Grand Canyon College was chartered on Aug. 1, 1949, with 16 faculty and approximately 100 students in Prescott, AZ. 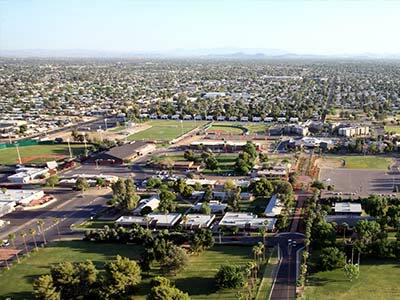 In 1951, the college relocated to a 90-acre tract in West Phoenix and was fully accredited in 1968 by the Commission on Institutions of Higher Education. Established as a Baptist-affiliated institution with an emphasis on religious studies, the school initially offered bachelor’s programs in education. Programs expanded to include the sciences, nursing, business, music and fine arts. It was during this time when the college started to develop a reputation for producing effective teachers, nurses and health care professionals in the Southwest. 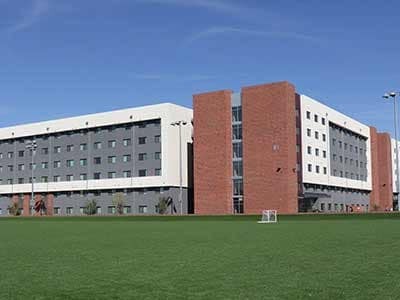 While planning to change in institutional organization and status to Grand Canyon University, Grand Canyon College identified several landmark events during this transition: organizing programs and departments into colleges, offering graduate degree programs, establishing the Grand Canyon University Foundation and the generosity of those who pledged or gave unrestricted gifts valued at $1 million dollars or more. In May of 1984, college trustees voted to prepare for transition to university status on the school’s 40th anniversary. Then GCU moved from being owned and operated by the Arizona Southern Baptist Convention to being self-owned by the Board of Trustees. 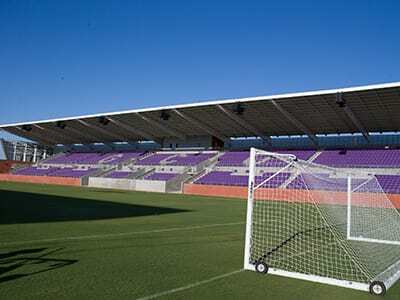 By the early 2000s, GCU struggled with maintaining its operations in light of dwindling financial support. The university faced a critical juncture in September 2003, teetering on the verge of insolvency and facing the prospect of bankruptcy. A small group of investors acquired the university and refocused on online education for working adults. With an improving financial structure, the university recruited a new leadership team in 2008 to envision a future that centered around a hybrid campus strategy—combining traditional students with nontraditional students (primarily working adults studying at the graduate level). The university completed an initial public offering in 2008 to generate the capital necessary to improve its online infrastructure and expand its campus. The university grew its campus student body from fewer than 1,000 students in 2009 to over 19,000 ground students in fall 2017, where the incoming student GPA was 3.5. By 2016, more than 75% of the university’s traditional students study in rigorous STEM and business programs. GCU’s nontraditional student body increased from approximately 22,000 students at the start of 2009 to over 60,000 online students currently. Over 47% of GCU's online student body is studying at the graduate level and that percentage is growing. In total since 2009, the university had invested over $1 billion dollars—and today, continues to invest in full-time faculty, improved technology infrastructure, new facilities and programmatic expansion in high-growth, high-demand areas such as engineering, computer science and IT. The university has been able to self-fund these investments with only nominal increases in tuition for nontraditional students, while freezing tuition for traditional students for 10 straight years. 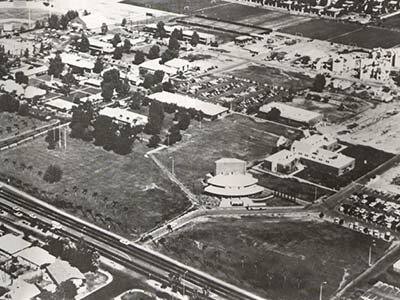 Grand Canyon University circa 1960. Four new 6-story residence halls opened in Fall of 2015. 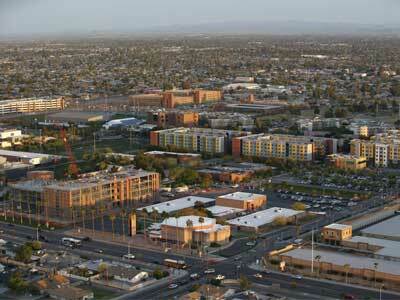 West Phoenix is where GCU calls home. That's why GCU stands committed to transforming the surrounding neighborhoods into a safe, thriving place for those in the community to live with hope and better futures. Along with providing academic excellence and a vibrant campus life, GCU believes its purpose is to partner together to implement initiatives in the area that open educational opportunities for all, create jobs, restore housing and reduce crime. GCU calls this United by Purpose. This development is only the beginning for reshaping West Phoenix into a destination of economic, tourism, business, employment and educational growth. 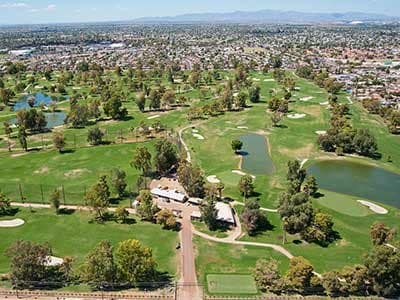 Our new enterprises (GCU Golf Course, GCU Hotel, Canyon 49 Grill, Grand Canyon Beverage Co.) also play a role in reviving the local community. Tremendous transformation is happening now, and the future looks even brighter.